AYSO soccer season is upon us. I’m beginning my 2nd year of coaching my daughter’s team of Under-8 year olds. Last year I started the precedent of letting the kids decide on the name, and then design the logo and banner. We had an even split between The Red Ladybugs and the Golden Sunsets. So, I just combined it into “The Red Ladybugs of the Golden Sunset.” I think that’s about the best dang soccer team name ever. It at least wins the award for wordiness or sheer length. This year, our jerseys are gold and black. So the field of names reduced down to two frontrunners: The Honey Badgers and The Golden Monarchs. As you can see, I have a team composed of half vicious aggressive diggers and half flitting gentle flower gazers. And the two names just wouldn’t combine well. 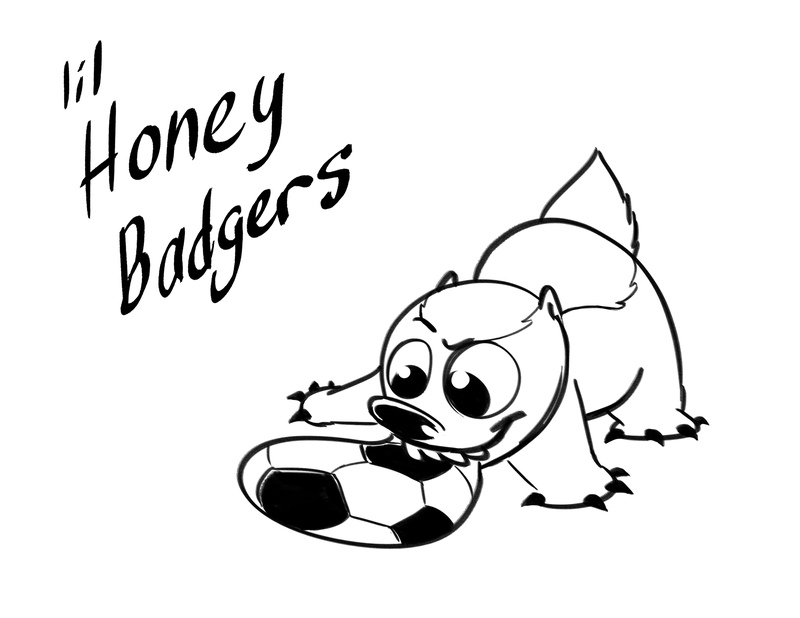 So, I decided to draw up a logo for each, tempering the aggressiveness of the honey badger, and boosting the sportiness of a monarch butterfly. There were many oohs and ahhs, and it was a tight vote. But the winner, in a 6-4 decision, is the Golden Monarchs. 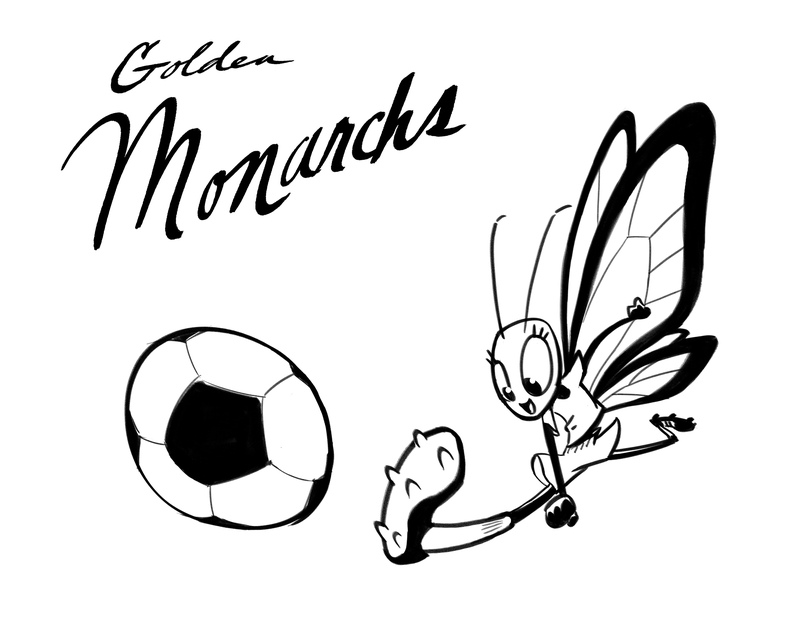 This name allowed us to come up with a really cool team shout: “Monarchs Rule!” Get it? Anyway, now I have to somehow transfer the logo to a banner. Whee! Hello, I play on a women’s softball team in KY that has chosen the name “Honey Badgers”. We love your design! Any chance we could use it for our team? Completely non-commercial use, only on our jerseys, and perhaps jackets if we decide to spring for those. Thanks, I’m flattered you like the design. But art is my livelihood. It still took me time and effort to create a design where one did not exist before. So, I am happy to allow you to use it for your team, but I would require payment of a reasonable, nominal fee for usage. If spread out among all of your teammates, the fee would hardly be noticed. Please email me at davidknott@mindspring.com for discussing this further. And thanks again for your interest in my art.